Each stack contains 48 sheets of premium printed textured cardstock. 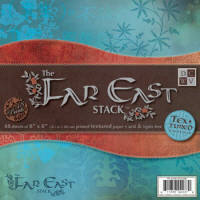 The designs are taking inspiration from the Orient and will give an exotic accent to your papercraft projects. The cardstock has a white core.